Ready.wv.gov > News > September is National Preparedness Month! This year’s theme is Disasters Happen. Prepare Now. Learn How. Each week in September will highlight a different preparedness action. Make a Plan, use this Emergency Plan template. 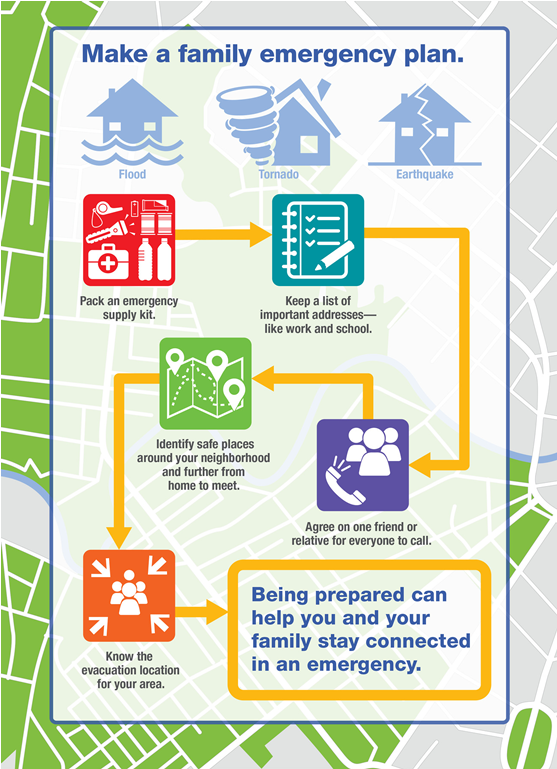 Have an evacuation plan and know before you go, WV511. Check your insurance coverage and safeguard critical documents and valuables.